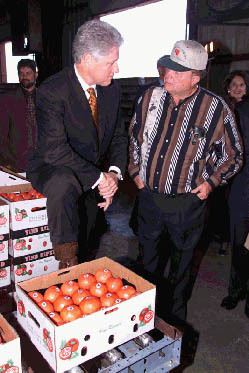 The President stops to speak to a local farmer at the Hermitage Tomato Co-operative in Arkansas. 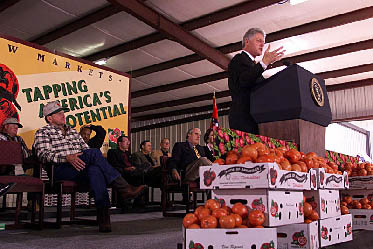 The President speaks to the people of Bradley County, Arkansas at the Hermitage Tomato Co-operative. 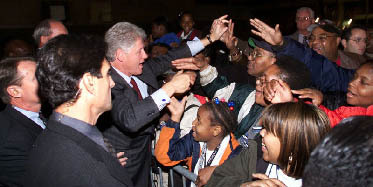 After his visit to the Franz Print Shop, President Clinton greets a crowd. 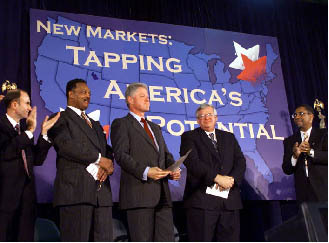 Reverend Jesse Jackson, President Clinton, and Speaker Dennis Hastert are welcomed to Englewood High School. 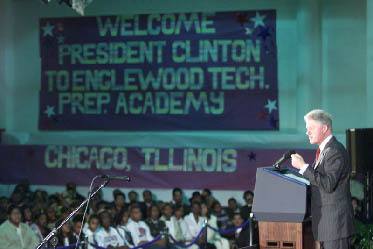 The President speaks to the Englewood community. 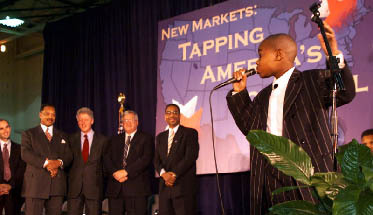 Josh Watts performs "I Believe I Can Fly" at the conclusion of the President's visit to Englewood High School.